Weather: Very hot and humid - high 90's. 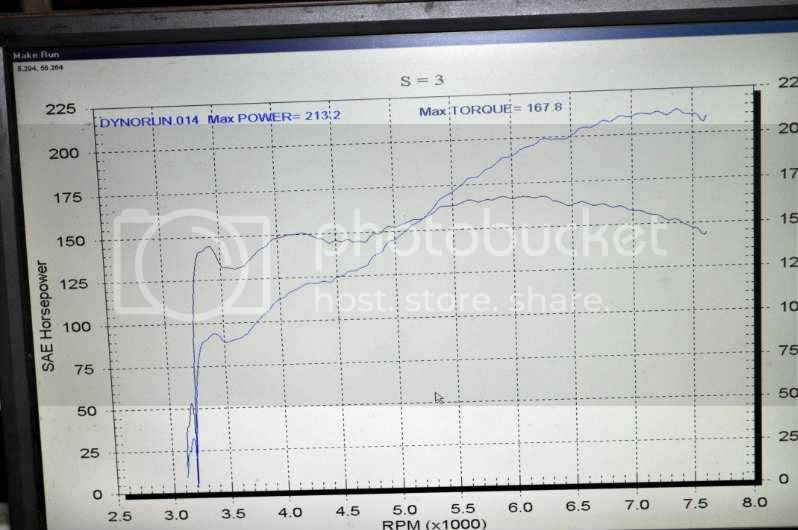 Engine: 2.4, 10.5:1 CR, Srt-4 rods, ARP hardware, Crower Stage IV cams, Bosch Red Top injectors (don't remember the specs), FastFab header, 1 MM oversize valves, moderate head porting. The CR is low, and the rings gaped loose for NO2 (future use). Fuel is E85. 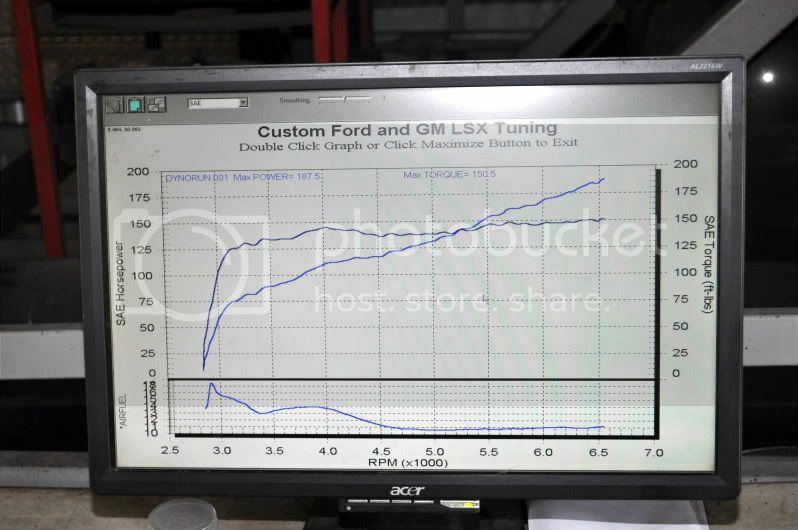 We ran out of injector at 7,500 RPM, the duty cycle is waaaaay over 100% (130%+). With bigger injectors it may rev higher, we'll see. 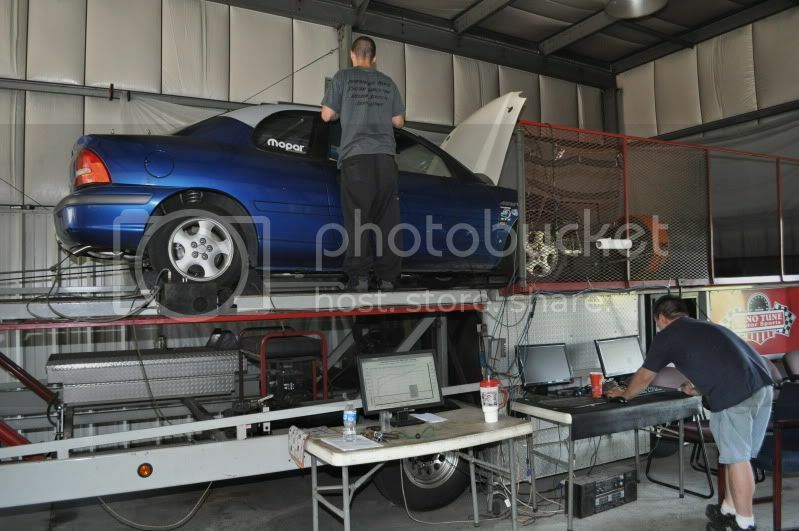 That's the .org's own Jon Moore of Moorespeed Performance doing the tuning. I'm debating the whole NO2 idea, and going with higher compression, milling the head. Bigger injectors are an immediate need, and a return-type fuel system is a future mod.